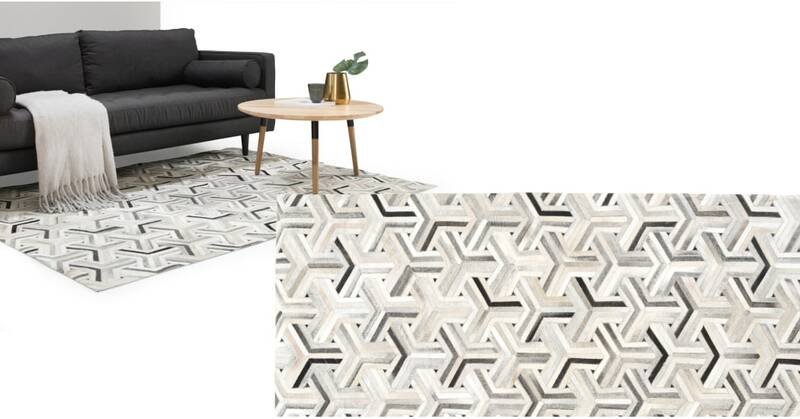 Each tonal grey cowhide panel has been expertly positioned creating a clever geometric 3D effect. The rug itself is totally flat underfoot. A modern take on the traditional hide rug. Troika is a great way to soften your look or liven up bare floors in the living room or bedroom. The pieces of hide are selected for their beautiful texture and shine, before being expertly stitched together according to colour. As cowhide is a natural product colours can vary slightly, making every rug unique.